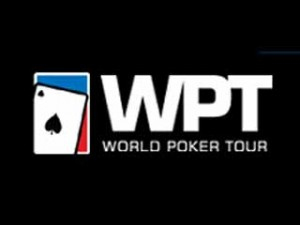 Cyprus is the inaugural step of the World Poker Tour Season XII. The competition started since last Friday in the poker room of Merit Crystal Cove, a 5-star casino-hotel, in the northern part of Cyprus. The start of the season of the WPT 2013-2014 didnt excite players, given the Main Event of the WPT Cyprus knew a fall of attendance of 20%, compared with the Cypriot step of the previous season. 262 players paid $4,400 of buy-in to take part in this main event of six days. This event at $1 million guaranteed prize pool was honored by the presence of some global stars of poker, following the example of Sam Trickett, Michael Mizrachi, Marvin Rettenmaier, Kelly Kim, Daniel "Jungleman" Cates, Kara Scott or the French Roger Hairabedian and Erwan Pecheux. But all these people didnt stand up till the end of the Day 3. After four days of spectacular and intense poker, the field was reduced to 14 players, among whom 6 will be retained for the final table. At the end of the Day 4, the 14 players will leave with a minimum gain of $13,200. Alexey Rybin is the chipleader at the start of this day with 1,736,000 chips, followed by Kayhan Tugrul and Sergey Rybachenko, the two players at more than 1 million chips. The rest of the field consists of Andrei Nikonov, Bernard Samaha, Maximilian Droege, Jerfi Firatli, Albert Daher, Kfir Yamin, Alexander Lahkov, Pierre Sayegh, Baris Topkaya, Oleg Suntsov and Natalya Nikitina. The successor of Marvin Rettenmaier will pocket $250,000 while the first eliminated of the final table will settle with $44,400.